'Safari'. It's a Swahili word simply meaning 'journey'. But for travel lovers, the word 'safari' ignites our imaginations of exploring vast Sub-Saharan landscapes and encountering majestic creatures in their natural environment . Africa's 'Big Five' list dates from a time when human/animal encounters ended badly for the animal. The Big Five were the hardest to hunt on foot and therefore the most valued trophies. 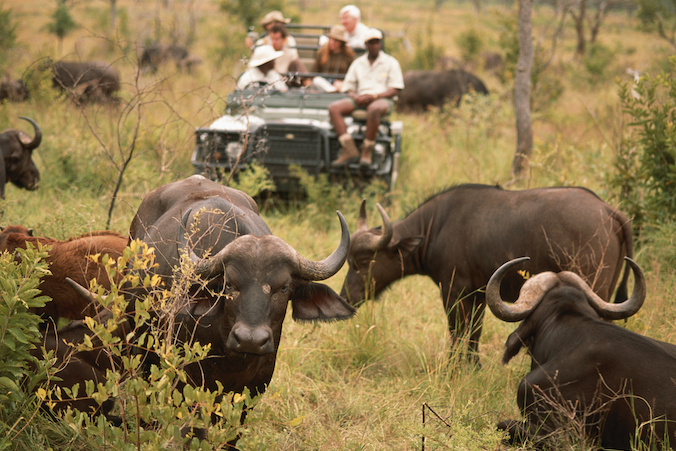 Today, the Big Five remain essential African animal encounters on safari to capture through your camera lens. Possibly the most iconic of African large animals, this big cat is unmistakable. Lion sightings are even more impressive as lions are very social and live in groups called 'prides' so you may well see more than one at once. Although they are 'apex' predators – the top of the food chain! – they don't spend a lot of time hunting. Lions can sleep up to 20 hours a day! But when they are awake you'll know about it. A lion's roar can be heard up to 5 miles away! This helps communicate with the rest of the pride; calling for stray members back, declaring territory, and for females, communicating with cubs and calling for help when threatened. This famously spotted creature is the least seen of the Big Five as it's the most nocturnal. Unlike lions, leopards are not social and spend most of their lives alone. They are like the superhero of the big cats: they are sleekly graceful and almost perfectly camouflaged in the dappled shade of trees; they have excellent night vision and are incredibly powerful, able not only to regularly climb trees, but to drag prey 3 times their own weight 20 feet high into trees to protect their dinner… and they are even strong swimmers who sometimes fish! Even feline superheroes need a break, though. 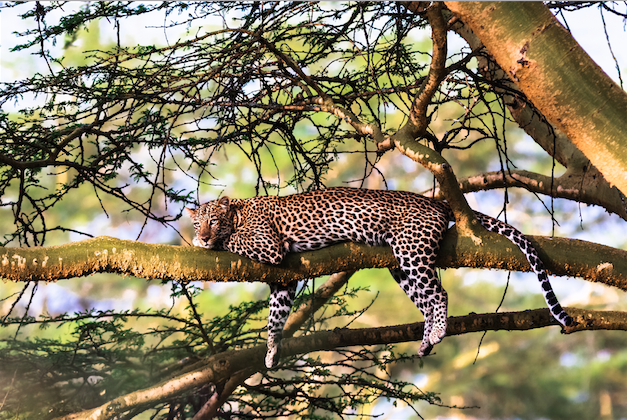 Leopards are known to take naps in the treetops. 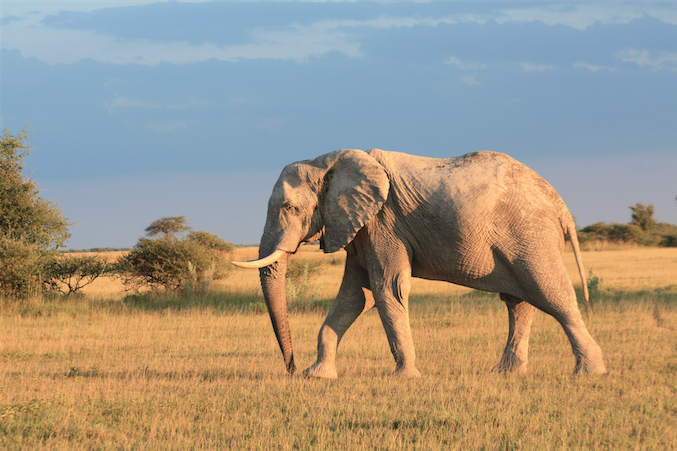 These vegetarians are the largest land animals… whose closest relatives are rodents! Elephants have shock-absorbing pads on their feet that allow them to walk much more quietly than you'd believe of such enormous creatures. They also have rather delicate skin than can sunburn and get irritated by even an insect! That's why you see elephants using their trunks to throw sand over themselves to protect against the sun and bugs. They are also avid swimmers and can swim long distances using their trunks as built-in snorkels. Those trunks also come in handy for drinking and grabbing food – even something as small as a single grain of rice. Elephants can communicate with each other across great distances by making sounds in frequencies lower than humans can hear. And these social creatures mourn dead members of their herd with rituals that can last days. Africa's Cape Buffalo has never been domesticated even though it's the only type of wild cattle in Africa. It's probably due to the danger factor. These unpredictable and aggressive animals are said to have killed more hunters in Africa than any other, and still kill over 200 people every year, earning them nicknames like 'Black Death' and 'Widow Maker'. Cape Buffalos use attack as their first line of defense, circling back at anything hunting them. That's a lot of rock-hard muscle and horn and surprisingly, brains coming at you. They have excellent memories, even ambushing creatures who have previously attacked them. Lions are their number one natural predator. But it will still take several lions to take down a Cape buffalo, risking the fury of the rest of the herd, which will ferociously defend and rescue fellow buffalo and kill lions who have attacked one of their own. 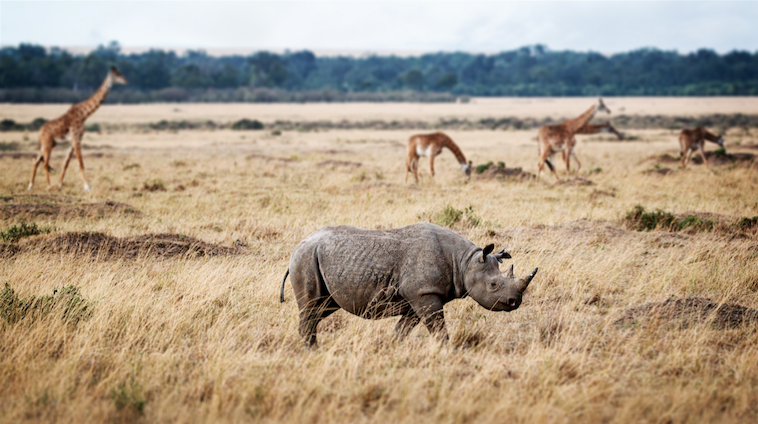 The rhino is the most endangered species on the Big Five list. Poachers go to shocking lengths to kill protected rhinos, just for the horns that are said in Asian cultures to hold medicinal properties. Rhino horns are actually similar in composition to human fingernails or horses' hooves. Rhinos look fierce, almost armored, and like an immovable wall. In fact, they run much faster than you'd think – and they run on their toes! Rhinos have three hoofed toes on each foot, and they graze on leaves and twigs, just like their relatives: horses and zebras. Rhinos don't have any front teeth and use their lips to pick up their food. Much more dainty than they look. 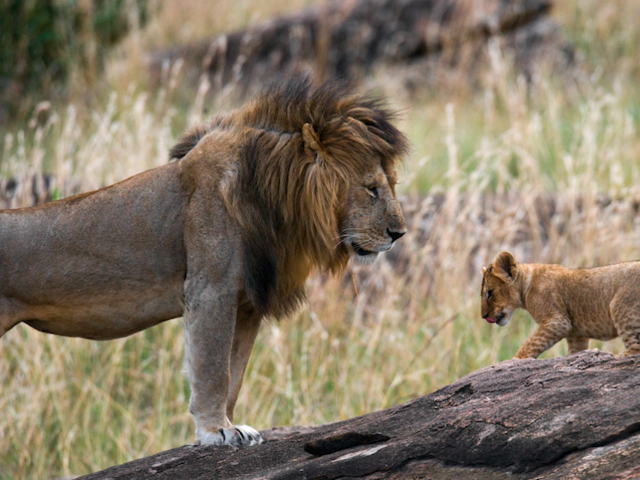 Africa's Big Five are so much more than poster children for safari tours or wildlife conservation. They, and other unique African creatures like giraffes, cheetahs, gorillas and chimpanzees, zebras, hippopotami, birds and marine creatures, are complex, fascinating animals with beauty and characteristics incredibly evolved to this unique environment. Many reputable safaris and river or ocean cruise + land safaris in South Africa, Kenya, Tanzania, and Namibia know the best places and times of the year for different wildlife experiences; some even guarantee you'll see the Big Five plus some of your other favorite African animals. Encountering any of these creatures in their natural habitat is a once-in-a-lifetime travel experience that transforms any traveler forever. This photo isn't playing tricks on your eye. 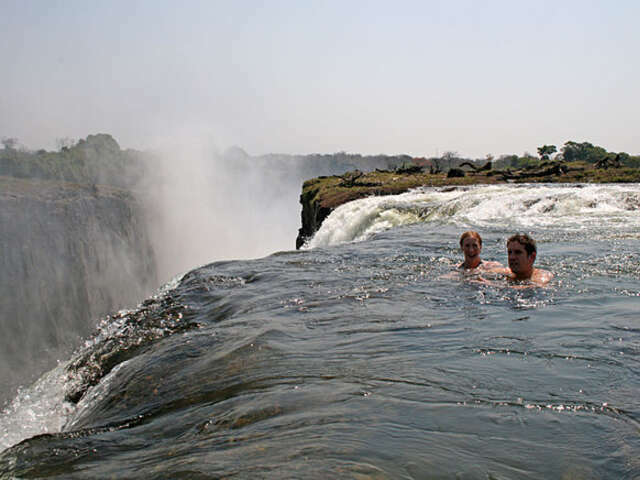 People really do take a dip in the natural pool at the top of this world-famous, record-breaking falls.It's the largest falls in the world 1708 meters (5604 feet) across and 108 meters (354 feet) high. It's not the highest or the widest falls, but that combination results in a sheet of falling water unmatched in size by any other falls. It's still double the height of Niagara Falls. Victoria Falls on the Zambezi River on the border between Zambia and Zimbabwe is a UNESCO World Heritage Site and has been called one of the Seven Natural Wonders of the World. 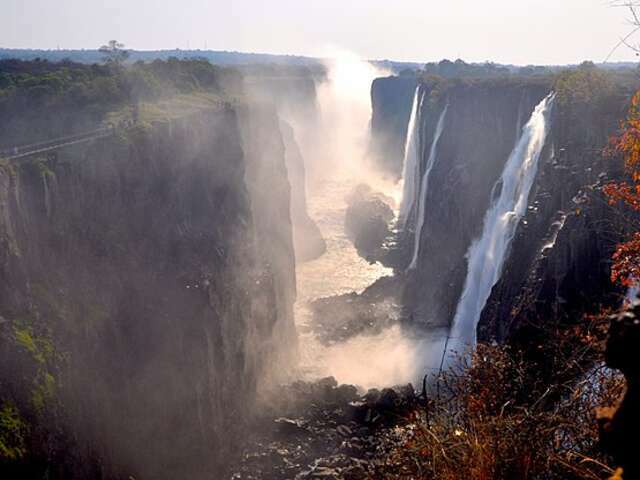 Named Victoria Falls for the Queen by Scottish explorer David Livingstone when he first came across it in 1855, it's called Mosi-oa-Tunya – The Smoke that Thunders – in local Tonga dialect. Upstream from the falls, the Zambezi River flows across a wide, flat plateau with no hills or mountains to channel the flow of water. So the entire 5600-foot width of the river drops over the edge of a fracture in the landscape, falling into the gorge below, and flowing through the chasm in a zig-zag series of gorges that form the border between the two countries in southern Africa. 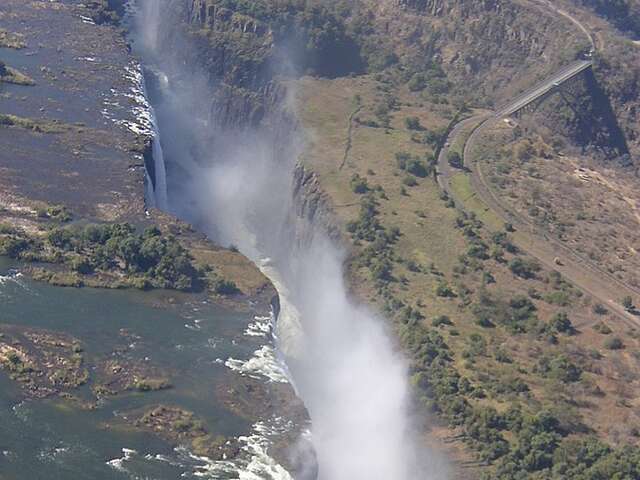 Both issue visas to allow tourists to cross back and forth across the border to see the falls from both vantage points. A million international and local visitors a year come to see the falls and there are concerns about development and environmental management endangering the site. And as for the top picture? 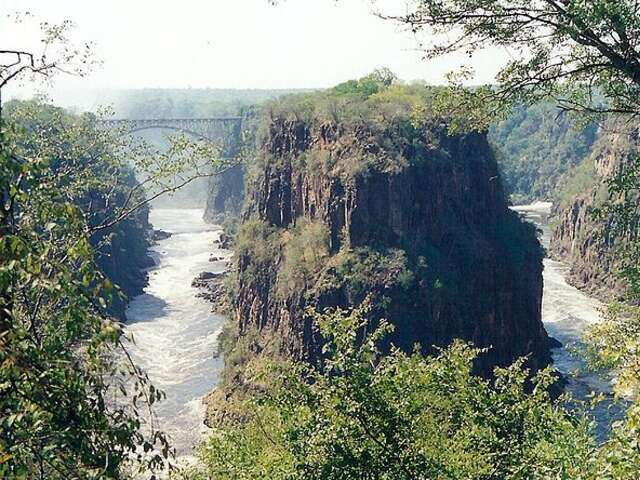 Victoria Falls has a famous natural feature on the Zambian side, an 'armchair' called the 'Devil's Pool' near the edge. When the water is at a certain level, a rock barrier reduces the current in that spot to relative calm. Daredevil adventure-seekers risk death to swim only a few feet away from that 350-foot drop. You may think that the only thing that could be done in Africa is to go on a safari, but you’d surely be surprised with the innumerable types of activities that could be done all over this continent. 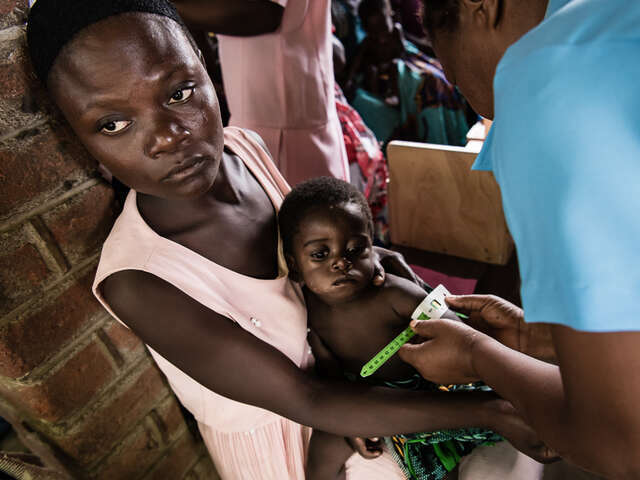 You could opt to traverse the savanna via a colonial-era railway, join a Tuareg caravan into the Sahara, kayak through the Nile River using a pirogue, welcome the culture in pygmy villages or venture into the forest to spot a great selection of wildlife. This 3 month journey begins in the middle of the Nubian Desert on the Sudanese/Egyptian border at the historic World Heritage site of Abu Simbel. From here Tom will kayak the length of the Nile to the Great Pyramids of Cairo visiting all the 'must-see' cultural and historic sites along its riverbanks. The expedition then restarts in Upper Egypt at the historic City of Luxor where Tom will rendezvous with his camels and Bedouin guides before heading into the shifting sand dunes of the Western Desert where traditional lifestyles have remained unchanged for centuries. The team will trek an ancient caravan route through the desert visiting a network of Oasis on their way finishing the 1,300km journey close to the Libyan border at the Eden of the Western Desert, Siwa Oasis. Give in to your thirst for an adventurous trip and start planning your African itinerary today!